were more than happy to assist. Our first meeting involved identifying the client’s requirements. 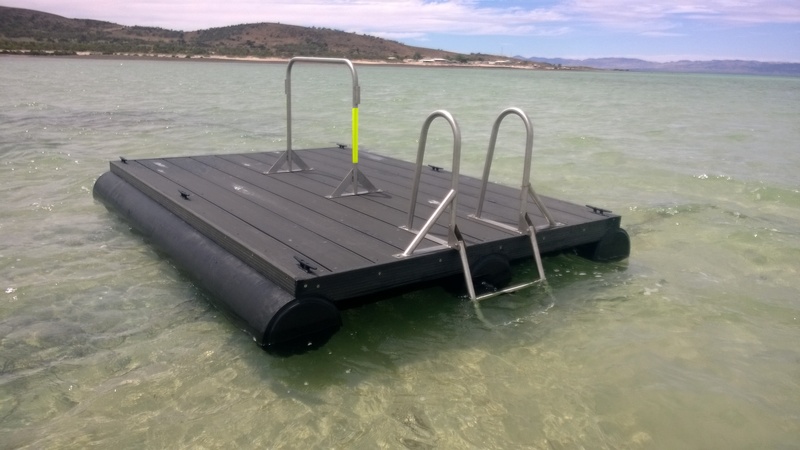 Having established the dimensions, anchoring mechanism, weather conditions/exposure and budget, the Dalkeith Plastics Pty Ltd team worked out the suitable design with pipe diameters, structural design, to build a structure that would endure constant weather exposure and strength while, limiting the amount of maintenance required to maintain the pontoon. In assisting the client with minimising the ‘up-keep’ to the pontoon, Dalkeith sourced the decking material from A.P.R. Their unique product of ribbed decking allows the same properties of steel/wood but without any maintenance of re-coating, re-treating after excessive exposure to the weather. The client was extremely happy with the final product as are the surrounding shack owners in the district!